Best free offline Farm Games for PC download. The game can be used as alternative for FarmVille game. FarmVille is popular online game on Facebook and it can be played online only. 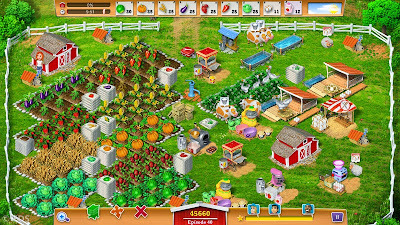 For FarmVille lover available offline alternative game for FarmVille. My Farm Life is a game that have a gameplay like FarmVille. Other alternative game is Exotic Farm game. The both games can be used as FarmVille alternative to be played offline. Available than 100 levels on the farming games. There’s two mode that can be played, timed or relaxed modes. Interested to play this game in your PC, download this Farming game to your computer and enjoy it. On Exotic Farm game you can play as Jill. Jill bought the farm to realize her dream. She has her very own farm on her very own island. On this game you can harvest exotic fruits, operate handmade machines and manage free-roaming animals. 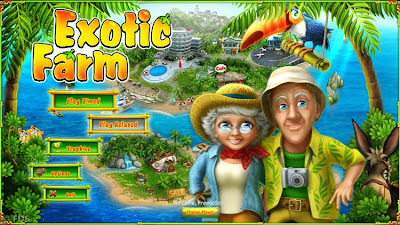 The Exotic Farm can be installed on Windows XP and all newer Windows version. My Farm Life available for free on MyPlayCity’s website. Visit the official website to download this Farm game. Install and play all levels and reach the goals. On this game you will play as Lisa that signing contract to be the star of new show. The goal is to win the Show of the Year and the Farmer of the Year awards. On the first episode of My Farm Life! Plant and harvest crops, shear sheep and milk cows and purchase equipment to produce the goods Lisa’s customers want. You can get three assistants after reaching a certain level. The assistants will help you to meet the goals. On every level you can buy new seeds, buying cattle, upgrade your skills and improve your farm. Note: When installing this FarmVille offline alternative game, it will ask to install myplaycity toolbar. If you do not want the toolbar, unchecked the option when installing this game.